Rat meat passed off as mutton in China! So, you love mutton curry very much, eh? Be careful. You could actually be eating rats and other small animals passed off as mutton. This is especially if you are visiting Shanghai or Jiangsu province. Ouch! We were in Shanghai just 2 weeks ago. And those dim sum served by our host were savoury! We didn't consume any mutton in any form though. 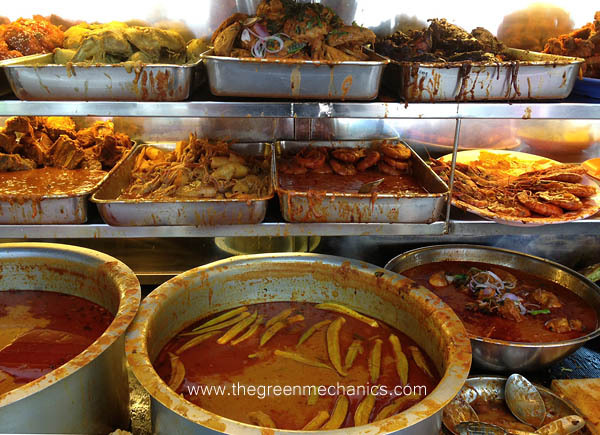 Nasi Kandar Line Clear in Penang is quite popular and they serve mutton curry. Don't worry, that would not happen in Malaysia, but who knows. Especially if you buy a lot of stuff from China. Also, don't forget the food scandal in Europe recently where horse meat passed off as beef. BEIJING (Reuters) - Chinese police have broken a crime ring that passed off more than $1 million (643 thousand pounds) in rat and small mammal meat as mutton, authorities said, in a food safety crackdown that coincides with a bird flu outbreak and other environmental pressures. Authorities have arrested 904 suspects since the end of January for selling and producing fake or tainted meat products, the Ministry of Public Security said in a statement posted on its website on Thursday. During the crackdown, police discovered one suspect surnamed Wei who had used additives to spice up and sell rat, fox and mink meat at markets in Shanghai and Jiangsu province. Police arrested 63 suspects connected to the crime ring in a case valued at more than 10 million yuan (1.0 million pounds) in sales since 2009. Police confiscated more than 20,000 tonnes of fake or inferior meat products after breaking up illegal food plants during the nationwide operation, the ministry said. Food safety and environmental pollution are chronic problems in China and public anxiety over cases of fake or toxic food often spreads quickly. The public security ministry said police had confiscated more than 15 tonnes of tainted pork in Anhui province, although as much as 60 tonnes had been sold in Anhui and Fujian provinces since mid-2012. But it was the rodent meat in particular that people couldn't stomach, with Internet users turning to the popular microblogging site Sina Weibo to vent their outrage. this is so gross. i dont think i can take dinner tonight after reading this. Trivia Friday: Do plants die of old age? Battle of the Currents: Is AC better than DC? Panasonic LED bulbs last 40 years?